Bauhin, a Swiss botanist and anatomist, separated botany from materia medica, nomenclaturally distinguished genera from species, and discarded alphabetical enumeration of plants for groupings according to plant affinities. He was also a pioneer in binomial nomenclature. 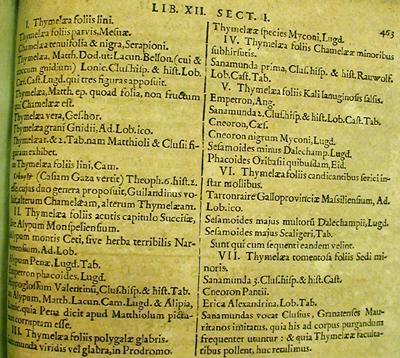 His Pinax (Basel, 1623) organized the names and synonyms of 6,000 species and dominated botany for a century. Right: HI Archives portrait no. 4. 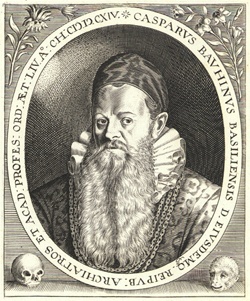 Gaspard Bauhin (15601624). Pinax Theatri Botanici ... (Basel, 1623). 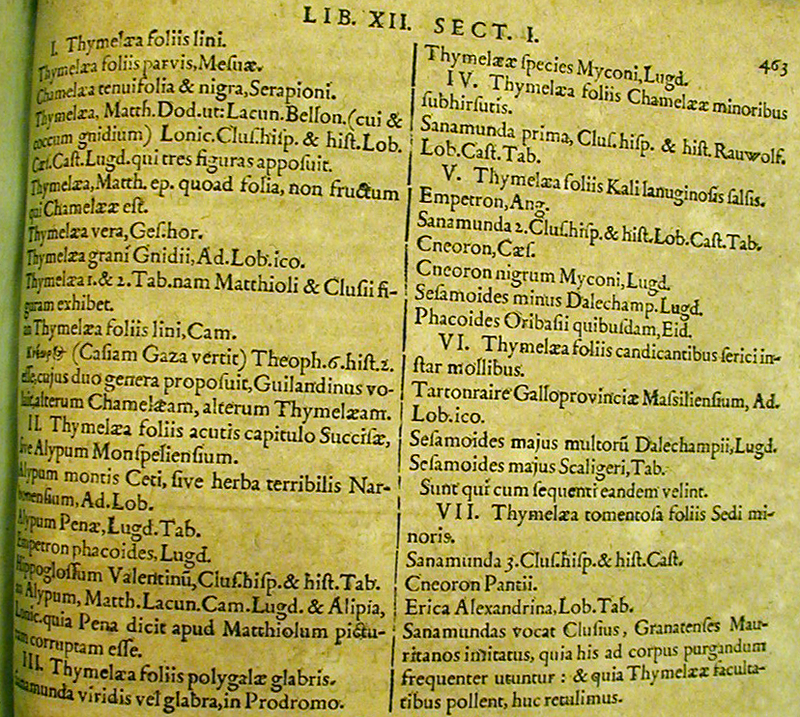 Pinax Theatri Botanici contained names and synonyms for 6,000 species. 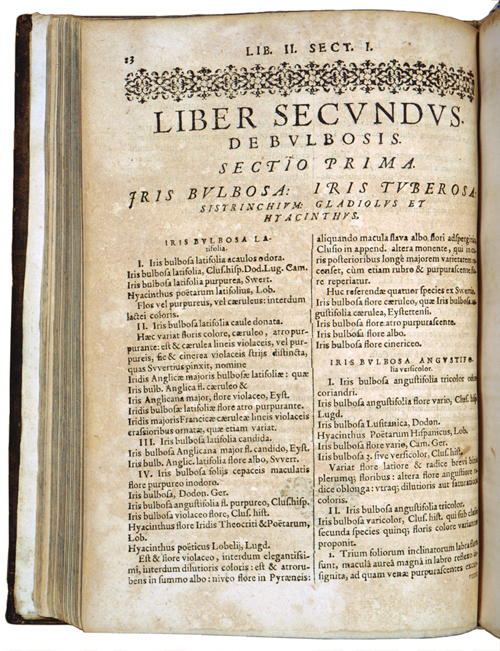 This publication and Prodromus Theatrici Botanici (Frankfurt, 1620) marked a high point in 16th17th-century botany. When Linnaeus cites Bauh. 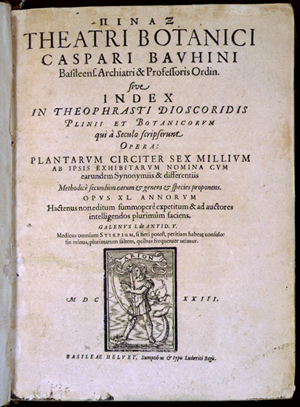 pin., he's referring to Gaspard Bauhin (15601624), Pinax Theatri Botanici ... (Basel, 1623).